Whether your basement is your retreat away from the chaos of the rest of the world or it’s the largest storage area in your home, it’s an important space that often doesn’t get the attention it deserves until something goes wrong. Basements tend to be the area most likely to flood in your home as well as one of the first spots where bug and rodent infestations occur. They’re also prone to concrete sinking if the area you live in has poor drainage, is built on rock or soil that is more likely to wash away, or in an area that has a high water table. Read on to find out why your basement may experience some concrete sinking and how B&B Concrete Lifting in Chicago can prevent it from getting worse. One of the main causes of sinking concrete is poor drainage. When it rains or snows, or when melting snow begins to enter the ground, water moves into the soil. As it meets other water it starts to flow. This underground flowing water can wash away soil and eventually even small rocks. After enough time the amount of soil that has been swept away can be quite large and will cause the concrete slabs to sink. While a little bit of sinking is completely normal, and even acceptable, it can go too far. If enough of the material under your concrete slabs is washed away it could form a pocket of air called a void. The slab will naturally start to sink in the direction of the slab because it presents the least amount of resistance. If the slabs sink too far into a void it could break and become unfixable with concrete lifting. A slab that is too badly damaged will need to be repoured. Repouring concrete is much more expensive than concrete lifting and it might not fix the underlying issues if the work isn’t done properly. Another problem that can be caused by the soil or rock underneath the concrete slabs of your basement is compaction. Compaction is what happens when, over time, the weight of the slabs and everything that presses down on the slabs forces the particles of soil and rock together, thereby reducing the volume of the material underneath the concrete and possibly leading to sinking. One problem that can be caused by compaction and drainage problems is that it can expose your basement to more of the elements, including moisture. Moisture can cause mold if left untreated and can encourage pests to move in. One of the most important ways to help prevent concrete sinking is to make sure that water drains away from the foundation of your home as well as away from any other concrete slabs, including the ones in your garage, your front and back patios and porches, and your sidewalks. There are a few ways to test this. The easiest way is to wait for the next rainstorm and see if the gutters in front of your home fill up with water that’s roughly equal to the amount that fell. While that isn’t a 100% surefire solution you can also walk your property after a storm and see if there are areas that seem especially saturated with water. If you find deeper puddles of standing water, they could be problem areas. If the puddles are in areas near rain gutters try to reposition the gutter outlet so that it pours into a different area with better drainage. In your basement make sure that you have a sump pump ready to go in case of a flood. By having a working sump pump you’re removing the water from underneath your concrete slab more quickly than if it were to drain on its own which could mean that it has less time to wear away at the ground under your basement. If your basement concrete has sunk to an unacceptable level or is beginning to crack, call us at B&B Concrete Lifting. Our long-lasting, proven techniques will level out your concrete in a way that not only stops you from having to pay for full slab replacement but also prevents against further compaction and drainage problems. Most concrete lifting can be completed within a matter of hours instead of days, and your concrete is fully useable within a day. Unlike repouring, concrete lifting doesn’t require a large team of laborers and tons of noisy equipment. 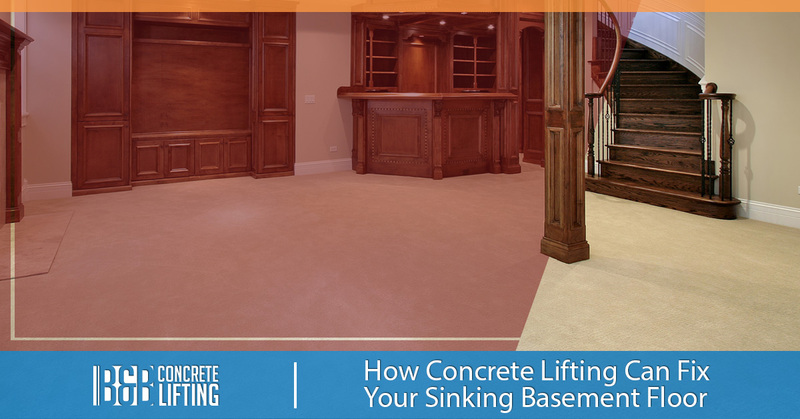 If your basement is experiencing concrete sinking, call us at B&B Concrete Lifting in Chicago. 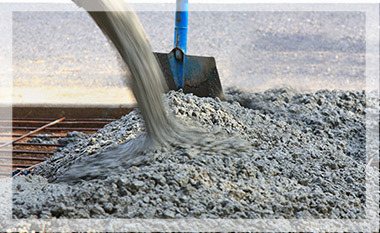 We have decades of experience in helping to save your concrete from sinking further and eventually breaking into pieces.